Following a worldwide candidate search, the Honor Society of Nursing, Sigma Theta Tau International (STTI) today named Elizabeth Madigan, PhD, RN, FAAN, as the organization’s new chief executive officer. Dr. Madigan leaves her position as Independence Foundation Professor in Nursing Education at the Frances Payne Bolton School of Nursing at Case Western Reserve University in Cleveland, Ohio, USA, where she had been for more than two decades. She assumes her role as CEO Designate effective 18 September 2017 and will be formally presented to the organization’s 135,000 members during STTI’s 44th Biennial Convention, 28 October through 1 November 2017 in Indianapolis. Director of the school’s Pan American Health Organization/World Health Organization (PAHO/WHO) Collaborating Center for Research and Clinical Training in Home Care Nursing, Dr. Madigan has extensive global experience, having served as a visiting professor at the Catholic University of Santiago, Chile, and a research grant reviewer for the Italian Ministry of Health Young Investigator Research Program. She recently reviewed the planned PhD program and curriculum for Haramaya University in Ethiopia. Dr. Madigan is also a respected researcher. She has published numerous book chapters and research articles and presented at nursing conferences worldwide on interests including home healthcare issues, the use of technology to improve chronic disease outcomes, and international healthcare issues. She holds a Bachelor of Science in Nursing from Wright State University, a Master of Science in Nursing from the Ohio State University, and a PhD in Nursing from Case Western Reserve University. During the next few months, Dr. Madigan will be relocating to Indianapolis, Indiana, from her current home in Cleveland, Ohio. A longtime STTI member, Dr. Madigan is eager to meet STTI members and begin her work at the 95-year-old organization. Current STTI President Cathy Catrambone, PhD, RN, FAAN, chaired the CEO search committee that ultimately selected Dr. Madigan. “Dr. Madigan embodies the key attributes of a Sigma member, having devoted her career to nursing excellence in scholarship, leadership, and service. She brings a wealth of practice, academic, and global experience to this new leadership role, and I look forward to seeing STTI continue to flourish under her leadership,” Dr. Catrambone said. 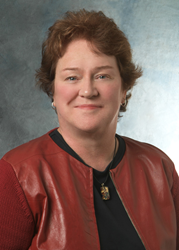 Dr. Madigan replaces outgoing CEO Patricia E. Thompson, EdD, RN, FAAN, who will retire following the biennial convention after a decade as CEO. The Honor Society of Nursing, Sigma Theta Tau International (STTI) is a nonprofit organization whose mission is advancing world health and celebrating nursing excellence in scholarship, leadership, and service. Founded in 1922, STTI has more than 135,000 active members in over 90 countries and territories. Members include practicing nurses, instructors, researchers, policymakers, entrepreneurs, and others. STTI’s more than 525 chapters are located at over 700 institutions of higher education throughout Armenia, Australia, Botswana, Brazil, Canada, Colombia, England, Ghana, Hong Kong, Japan, Jordan, Kenya, Lebanon, Malawi, Mexico, the Netherlands, Pakistan, Philippines, Portugal, Singapore, South Africa, South Korea, Swaziland, Sweden, Taiwan, Tanzania, Thailand, the United States, and Wales. Learn more at http://www.nursingsociety.org.